Kapha has a strong association with the lymphatic system. A yoga sequence that moves the lymph should include pranayama, vigorous movement, some inversion poses, and some twisting. Learn which yoga poses you can do at home to get the lymphatic fluid moving and keep kapha balanced. 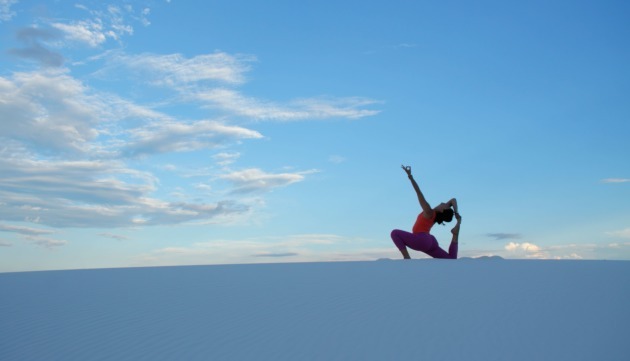 The word “yoga” means union, and the essence of Yoga is to unite with your true nature. 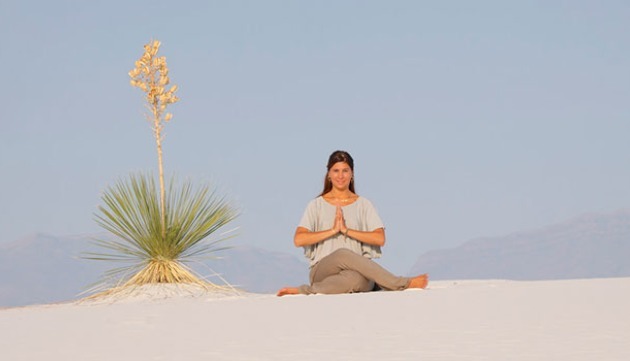 The paramount theme of yoga at its core is the same as Ayurveda—to return to your true nature. 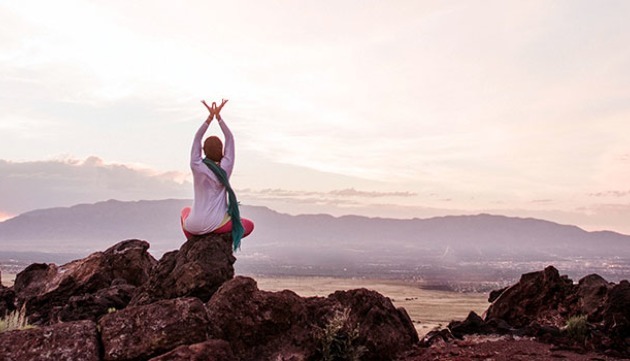 As Yoga is Ayurveda’s sister science, Yoga and Ayurveda share themes and principles. 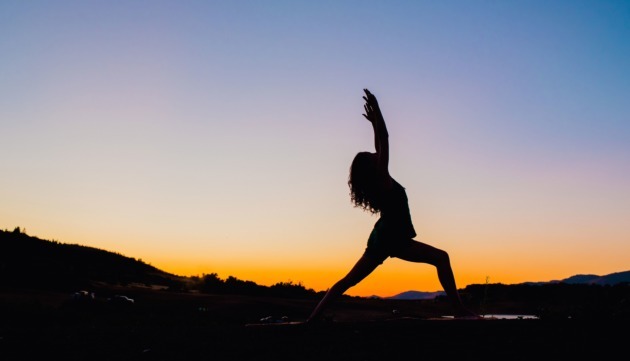 Yoga is fantastic for everyone because there are a variety of styles and poses that can be selected, adapted, and modified to complement anyone’s mind-body constitution. The purpose of yoga is to align the mind, body, and breath, creating stability, calmness, clarity, and a sense of inner peace. 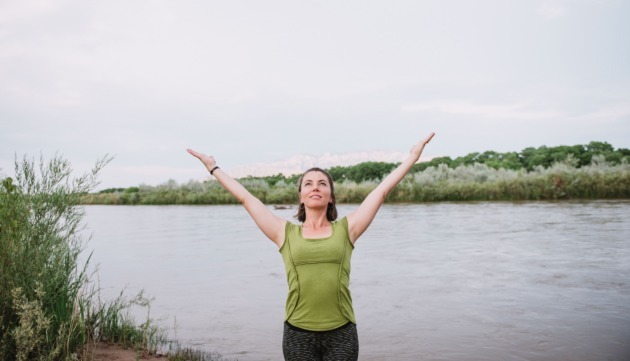 When we bring together the mind, body, and breath, we access the opportunity to be present in this moment rather than spending time spinning our wheels in the what-ifs of the future and the regrets of the past. When you are stuck in life, a shift in perspective can do wonders. 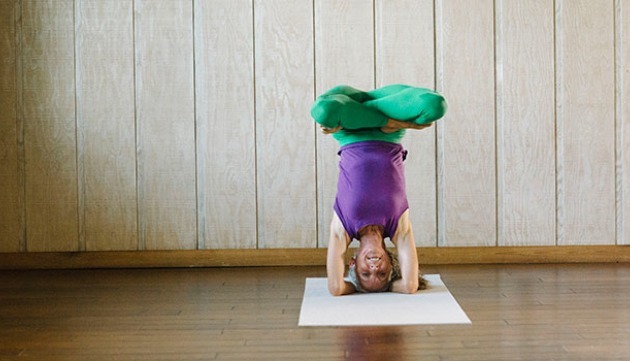 Practicing an inversion may be just what you need to see the world from a different viewpoint. Stress happens. What we can try to do is recognize it in the early stages and find tools to cope when a stressful situation arises.  Stress is usually connected to one or more dosha that is out of balance. 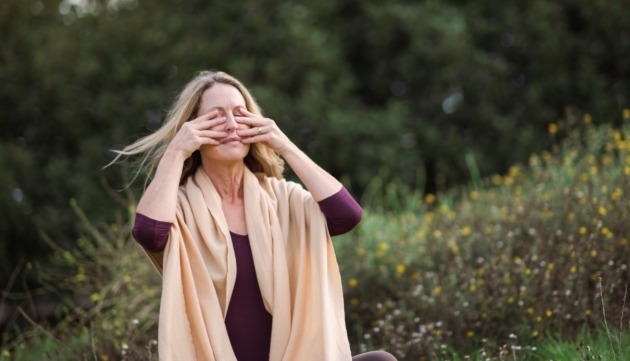 One practice I have found helpful in recognizing “the stress buzz” sooner than later, or even when stress crash lands at the front door, is pranayama. 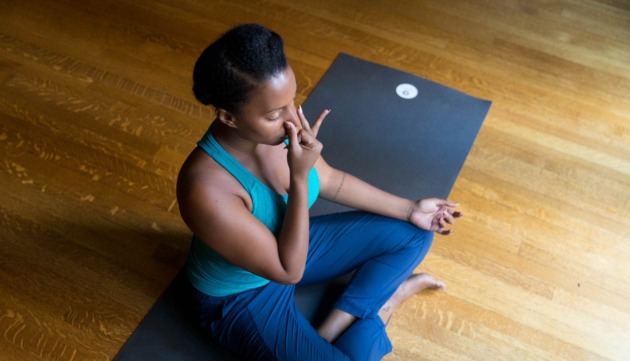 Pranayama, an intentional practice of restraining and expanding the breath, is one of the 8 limbs of yoga. As we climb to the seventh limb of Patanjali’s Yoga Sutras, we come to meditation, and ultimately dhyana, the state of total awareness. Our journey moves from outward to inward as we dive into the topic of pratyahara, the fifth limb of yoga. 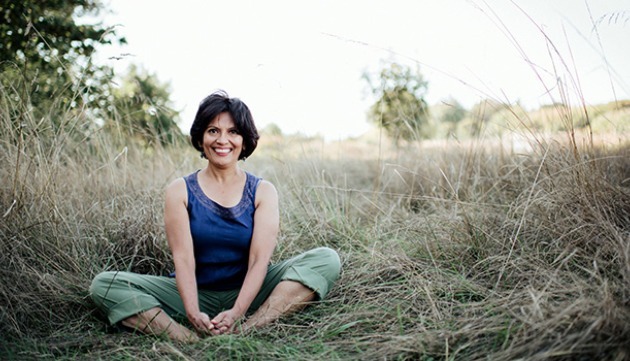 Often quickly glazed over or ignored completely, pratyahara is the gateway to what we are looking for. After all the attention and effort applied to the previous four limbs, limb five opens the door to where the magic resides. It is within. Ahhhhh, asana. Those bendy stretchy poses are typically the first images that come to mind when we hear the word yoga. 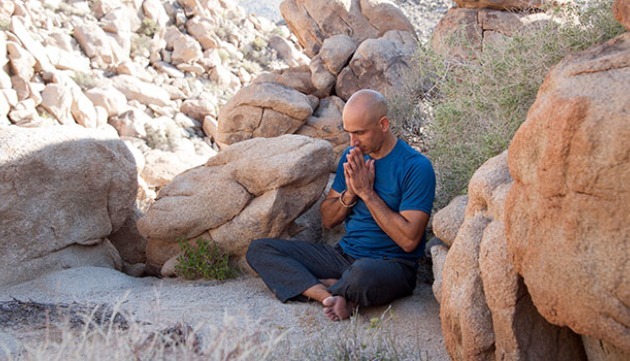 Asana is the third in our exploration of the eight limbs of yoga. Let me rephrase that: Asana is 1/8 of yoga. Yes, time on the mat is a grand total of 12.5% of our yoga practice. The great yogi, Sir Isaac Newton, taught in his third law of motion, for every action there is an equal and opposite reaction. The same can be said for the law of karma and its effects on both body and mind. 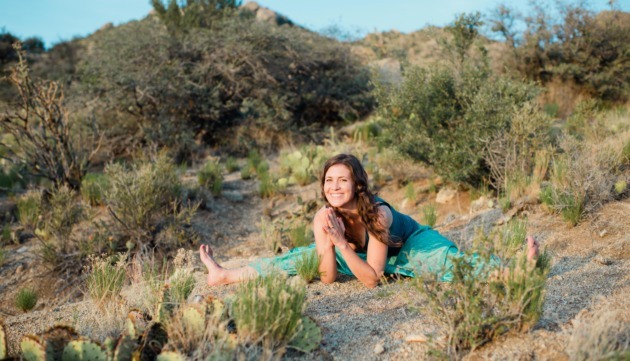 Patanjali, author of the ancient text, The Yoga Sutras, clearly points out the karma or good action that comes to us when we apply the first and second of the eight limbs of yoga to our lives. Warrior III (Virabhadrasana III) gets its name from its strong energy and the resilience it develops through practice. It challenges our balance and perspective as we stand on one leg and gaze straight down to the earth beneath. This posture embodies the warrior energy, to stand steady and stable we must also be soft and still in our mind and body. Let me be clear, I hate that fat has a bad reputation. Fat isn’t bad. Fatty tissues help protect our organs, lubricate our joints, and store hormones so we can carry babies and breastfeed our little ones. Fat helps us stay satiated after a meal. Fat fuels our brains. Fat is wonderful. Now that we’re clear on the goodness fat offers us, let’s address the concern with having too much fat. Cobra Pose (Bhujangasana) is the antidote to our device operating, chair bound, societal ways. 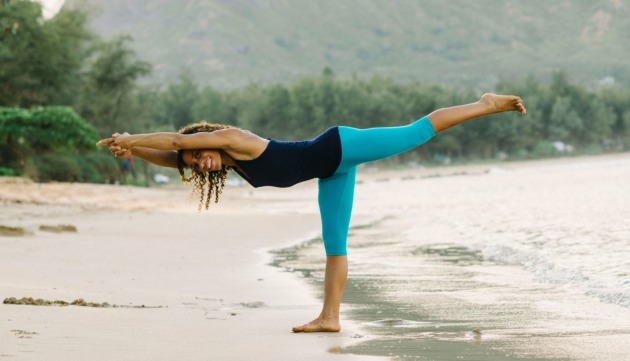 It is a back-bending asana where the majority of the movement comes from the thoracic spine, a place where our culture has become limited in motion. With its expansiveness across the chest, it earns its merit as a “heart opener,” but its name “cobra” comes from its shape, which is reflective of a serpent. I live in New York City— the city that never sleeps. I first learned yoga here 36 years ago, but unlike many of today’s New Yorkers that I see on the street and the subway, I am not carrying my yoga mat bag and heading off to a daily class. I practice yoga at home. The relaxing Child’s Pose (Balasana) is a profoundly restorative posture for the body, mind, and heart. Cat-Cow is actually two poses that combine together to create the common mini-sequence known as Cat-Cow. This sequence is designed to help lubricate and warm the spine. We use both flexion and extension to restore the space between each vertebra and support the supple nature of the spine. Cow Face Pose (Gomukhasana) derives its name from the shape that the body makes. Just imagine, the arms are the ears and the legs are the mouth of the cow. The meaning of the Sanskrit name Gomukhasana breaks down as go (cow), and mukha (face).